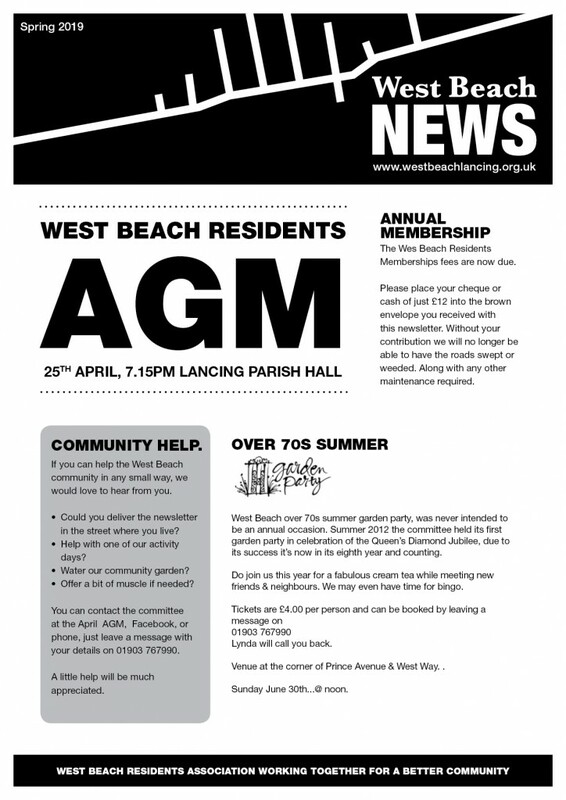 Here is the latest newsletter, which you should have received a through your letterbox if you live on West Beach. July 2015. 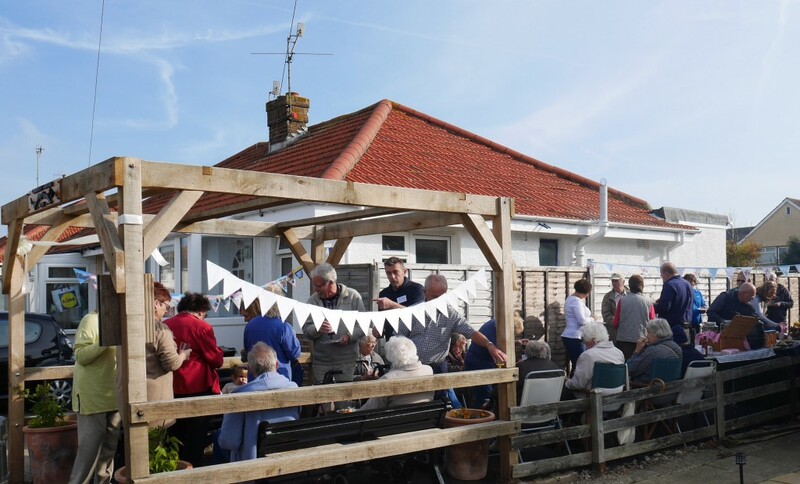 During the West Beach annual garden party for the over 70s, Rose, one of our regular guests, mentioned it was a shame that we only met once a year, and how lovely it would be if we had a little garden where residents could meet up more often and sit awhile and chat. 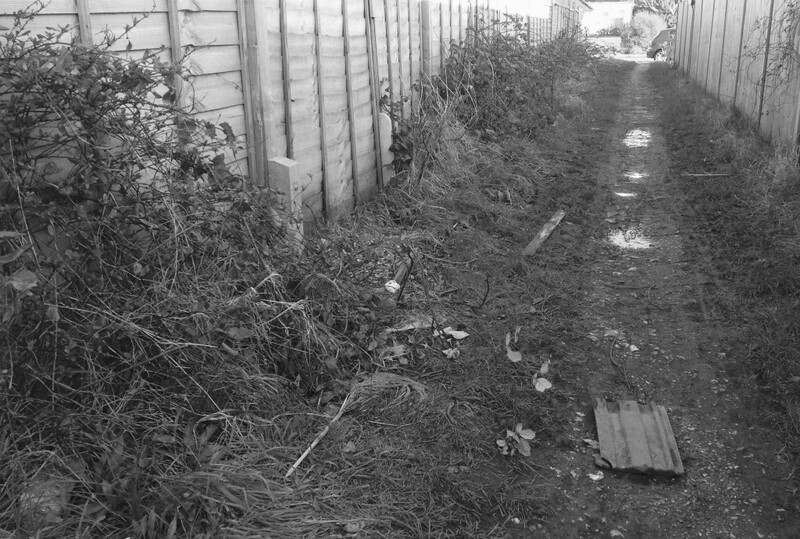 Later the conversation turned to the awaful state of the middle twitten, that leads to the coast road, seafront, schools and bus stops, also that it’s either waterlogged, or full of brambles, not to mention the mess left by a few unscrupulous dog owners. Jokenly Rose said, “Maybe we could make the twitten into a garden”. We all laughed at this. But was this really such a silly idea? September 2015. 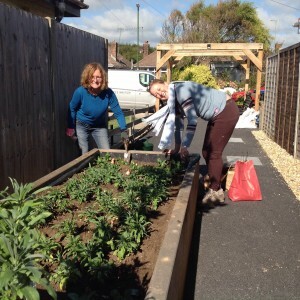 Research showed it was actually possible to obtain a grant for community gardens, so with this in mind, at the next Residents Association meeting the committee decided we should apply for a grant. Unfortunately on the first application we were unsuccessful. October 2015. At the following meeting, West Sussex County Councillor, Mick Clark, was in attendance, Mick mentioned a grant available from WSCC Big Society fund, and suggested we apply. January 2016 arrived, with good news! 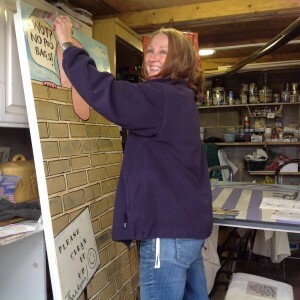 We’d been awarded the full grant of the £11,000 applied for. Although it seemed a large amount of money, we had a huge task ahead. 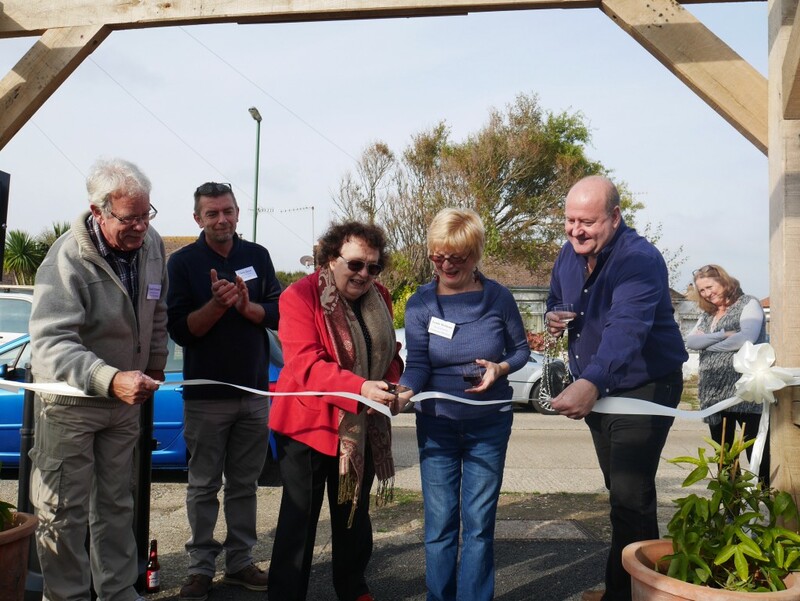 So on the back of this success, we also applied to the Sussex Police Community Safety Fund for a small grant to be spent on solar lighting. Again we were successful. The hard work was about to begin. I’ll skip the boring parts, the tears, trauma and tantrums! From here on the photos tell the story. 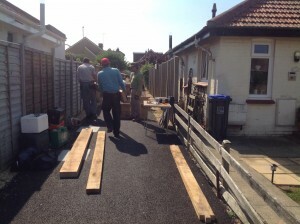 Batten’s boys laying the permeable tarmac. 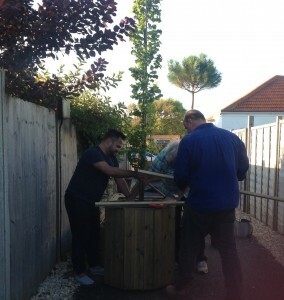 Darren Rolfe & West Sussex County Council’s volenteer team arrive on site, with the oak they’d previously prepared. It doesn’t go there mate! Hurry up Darren, this is heavy! Come on Councillor get your back into it. 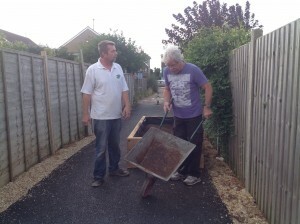 Chris and Geoff filling the raised beds with soil. 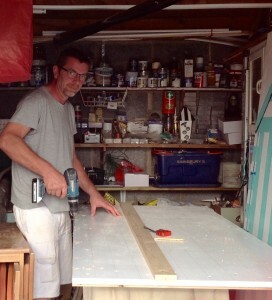 Brian installing the Growing-2-gether signage he carved. I’ll show those guys how to sweep up. SINCE WE APPLIED FOR THE GRANT! Sunday 2nd October 2016…The end of a perfect sunny day. All plants now in place and looking fabulous! Come springtime the wallflowers and bulbs will be a delight. Not to mention the scents. toiling away in the warm October sunshine. The boss has arrived! let’s get this garden planted. Trish and John getting stuck in. Francis and Pauline smiling in the sunshine. Bed 3. 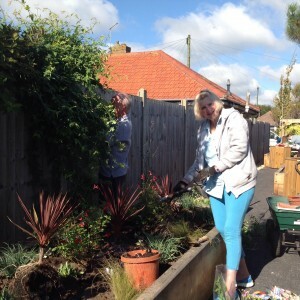 We’ve planted grasses, bulbs, donated flowers and shrubs. Bed 2. Has been left bare until next year. Ready for herbs and edibles. Bed 1. The seating aera has wallflowers and daffodils. For early spring delights. The garden lighting is also in place, making it a nicer place to walk at night. 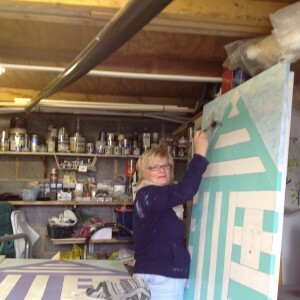 That’s me, painting one of three beach huts where Billy, Betty and Bertha our new garden residents will live. Artwork complete and finally installed. Billy, Betty, Bertha and Chad have moved in to the garden! Smiles all round after a hard day. Committe members and residents who’ve worked so hard over the last year, are having a well earned rest today. 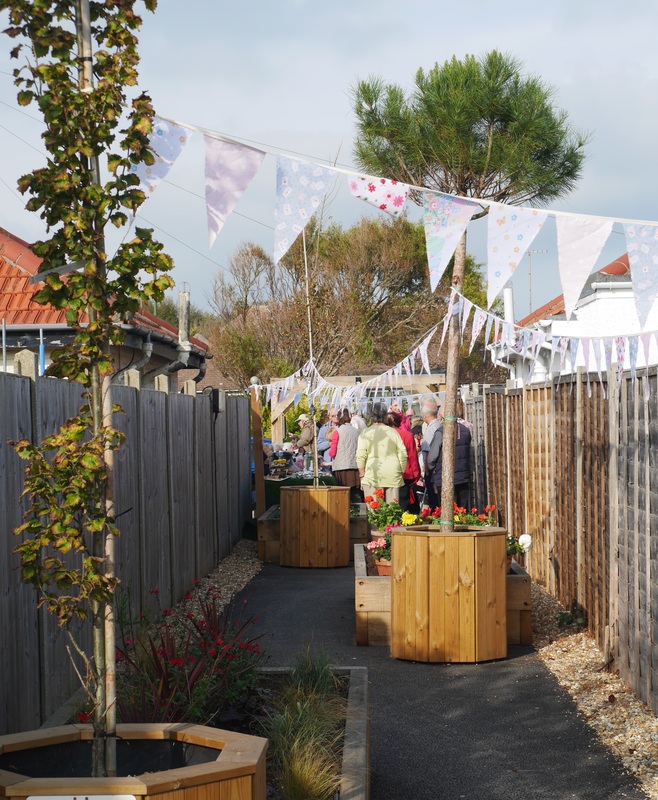 We’re all looking forward to the garden launch which is planned for Sunday 30th October at noon. If you’ve taken part in the ‘Growing-2-gether project’ in any way, no matter how big or small, then please join us in the celebration. Launch day had arrived, by 10am the sun was starting to peek through the clouds, thank goodness it was going to be a sunny day. The atmosphere was buzzing. 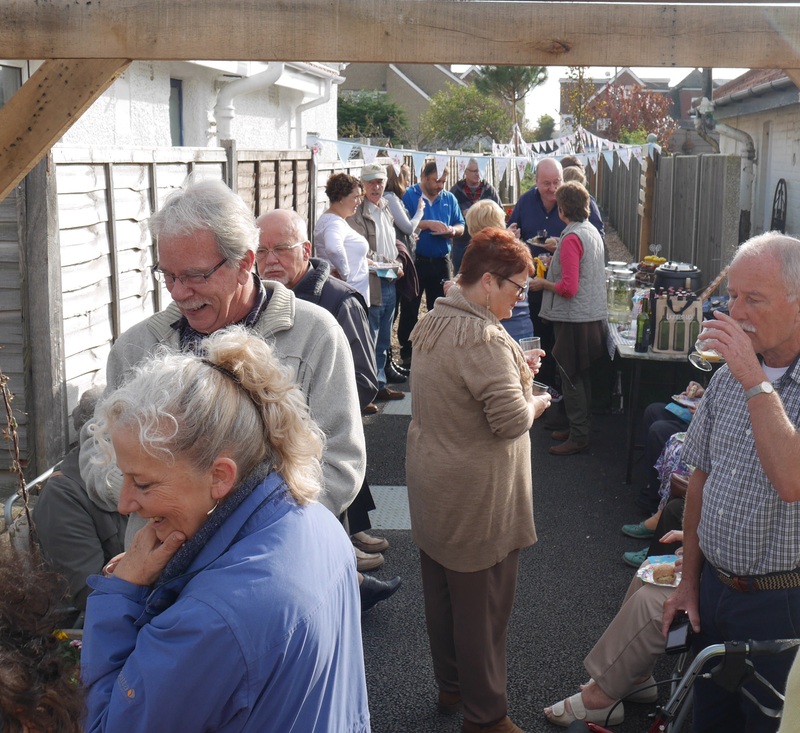 Committee members and locals busied themselves by hanging up the bunting and laying out the tables and chairs, not forgetting the food and all important drink. Just before noon guests could be seen coming from all directions to join in the festivities. Photo below… Cutting the ribbon to open the garden were West Sussex County councillor Janet Mockridge, and West Beach Committee member Lynda McShane, being helped by Cllr Mick Clark WSCC, along with Cllr Geoff Patmore ADC. 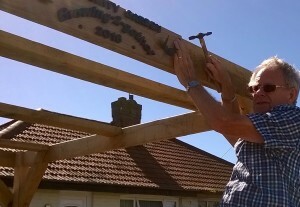 Clapping away in the background and thankful most of the hard graft is almost complete, is our Residents Association Chairman, Chris Drew. The launch party in full swing. Share the joke Annick, Annick Lynn (in blue) runs our local Royal Voluntary Service, where many of West Beach Residents spend time. In the large terracotta pots seen here at the corners of the oak arbour above, we’ve planted passion flowers. Hopefully by next summer they should supply some welcome shade from the sun! If we are lucky to have some. View of community garden from the south. 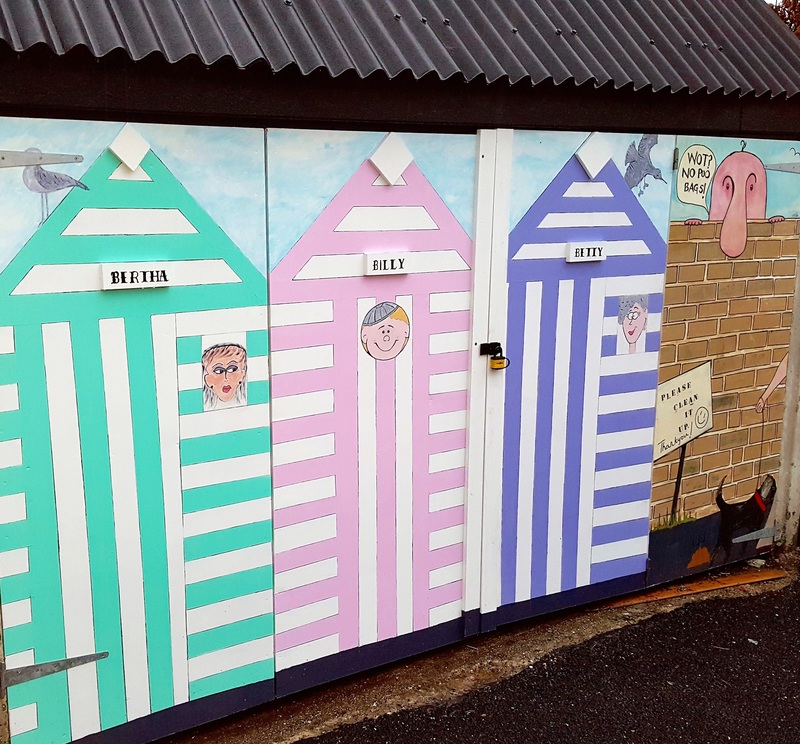 The new fun facade on the old doors, such a pity that seagull got his head chopped off! There’s still a few things for us to finish in the garden. 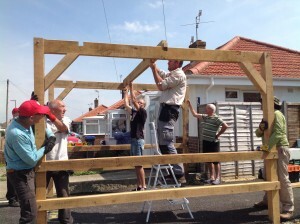 However next year it’s up to the West Beach community to look after the raised beds and trees. For residents to pull a weed or two as they pass by. If you’ve grown too many seedlings for your own use, please pop them in one of the raised beds. If you need mint or a herb for a meal just take what you can use on the day. We hope you’ve been inspired by our community story, there are many unloved small plots around the country…So if you’ve ever thought. Why doesn’t someone do something about that plot of land, remember you are a someone. Notice of Submission of the Adur Local Plan, Policies Maps and Sustainability Appraisal. Regulation 22 of the Town and Country Planning (Local Planning) (England) Regulations 2012. This letter is to inform you that in accordance with the above regulations, Adur District Council submitted the Adur Local Plan to the Secretary of State for Communities and Local Government on 20th October 2016 for independent examination. The above documents will be made available in hard copy at venues listed below. 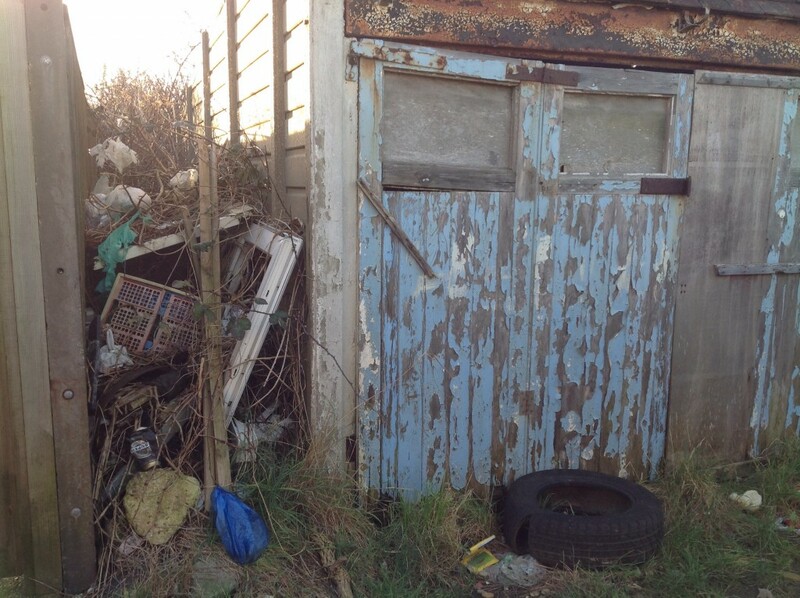 – Topic papers on Housing; Flood Risk; Shoreham Harbour; Economy and Employment, and Local Green Gaps. 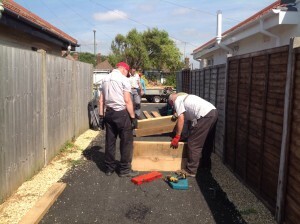 In addition a list of Core Documents used in the preparation of the Adur Local Plan has been published on the website; the documents themselves will also be accessible on the website. 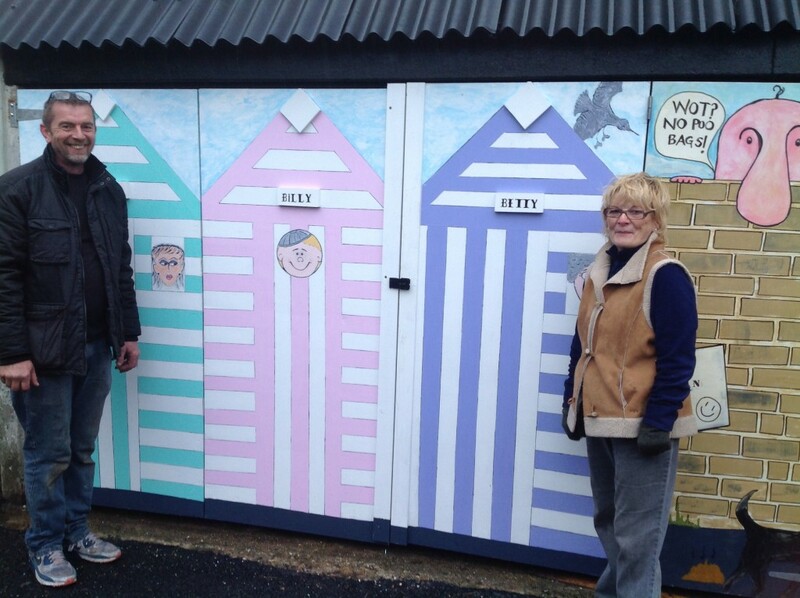 Shoreham Centre, 2 Pond Road, Shoreham-by-Sea BN43 5WU (Open Mondays- Fridays 9am – 5pm). Shoreham Library, St Mary’s Road, Shoreham-by-Sea BN43 5ZA (Open Mondays 10am-7pm, Tues, Wed, Thurs 10am – 6pm, Fri 10am – 5pm, Sat 10am-4pm). 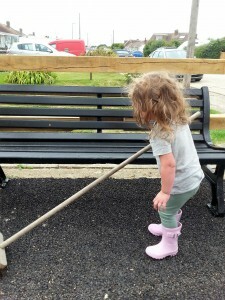 Lancing Library, Penstone Park, Lancing BN15 9DL (Open Mon-Fri 10am – 6pm, Sat 10am-4pm). Southwick Library, Southdown Road, Southwick, BN42 4FT (Open Mon-Fri 10am – 5pm, Sat 10am – 2pm). In addition to providing copies of the said documents in accordance with Regulations 22 and 35, reference copies will be placed at Sompting Parish Council (Harriet Johnson Centre, Old School House, Loose Lane, Lancing, BN15 0BG) and Lancing Parish Council (Parish Hall, South Street, Lancing, BN15 8AJ). The Local Plan will now be subject to an independent examination which will be conducted by the Planning Inspectorate on behalf of the Secretary of State. A series of public examination hearings will take place and those invited to attend by the Planning Inspector will have the opportunity to respond to matters raised by the Inspector. Once the public examination hearings are confirmed, details will be made available on the Adur District Council website. Details will also be sent to all those who made representations at previous Regulation 19 stages (Proposed Submission Adur Local Plan 2014, and Amendments to the Proposed Submission Adur Local Plan (2016)). 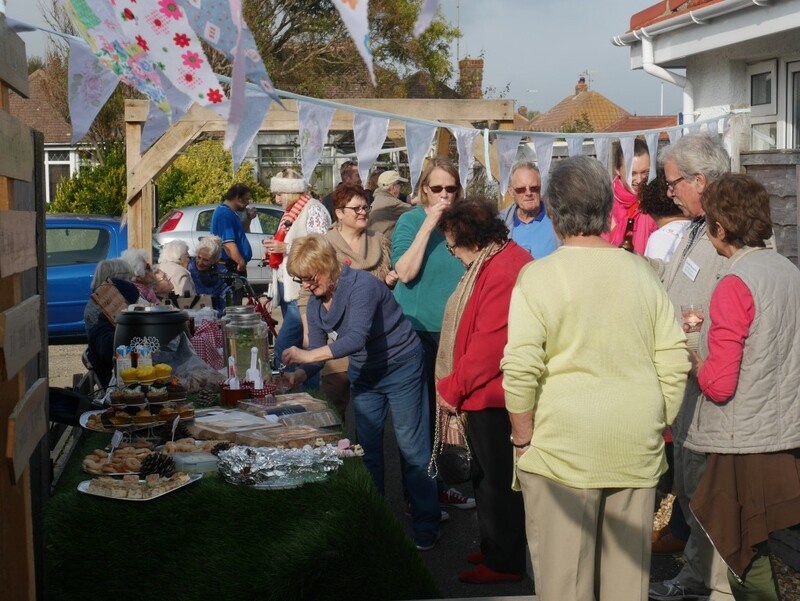 For other information please contact: adurplanningpolicy@adur-worthing.gov.uk or telephone: 01273-263000 and ask for the Adur Planning Policy Team. 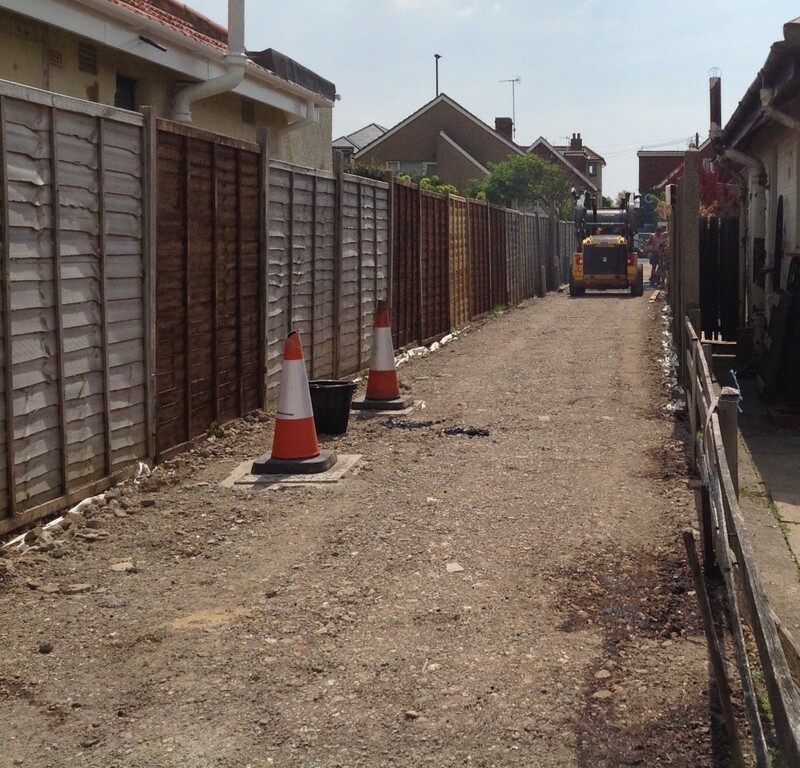 Work on progressing the emerging Adur Local Plan continues following the public consultation which took place at the end of last year. The next version of the Plan, which takes account of the issues raised during consultation last year, will be presented to Members this Autumn, and if approved will be published in October 2014 for six weeks. This stage is of a more formal nature; during this period representations can only be made on whether the Local Plan meets the tests it will be examined on – the ‘Tests of Soundness’. These ‘Tests of Soundness’ relate to the way the Plan has been prepared (legal issues) and assessing the content of the Plan against the test of soundness, as set out in the Government’s National Planning Policy Framework on the gov.uk website. 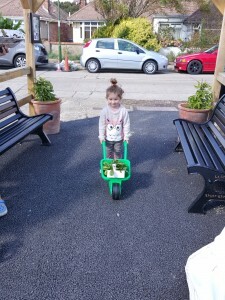 After this stage, the Local Plan will be submitted to the Secretary of State in March 2015 with a public examination held in the summer of 2015 (the exact timing is subject to the Planning Inspectorate, although it is estimated it could take place in June). If the Plan is found sound by the Inspector appointed to hold the examination, then it is hoped that it can be adopted by the end of next year. Pre-submission draft of the Adur Local Plan to be presented to Planning Committee for comments on the 29th September 2014. Pre-submission draft of the Adur Local Plan to be presented to Adur Cabinet for approval on the 30th September 2014. Pre-submission draft of the Adur Local Plan to be presented to Adur Council for approval on the 9th October 2014. * Timing subject to Inspector’s decisions. The consultation on the Revised Draft Adur Local Plan 2013 will run from 26th September to 21st November 2013. The Revised Adur District Plan does not include Old Salts Farm. The main reason is that the Environment Agency had significant concerns in relations to the flood risk . The pressure and flooding evidence ( photographic evidence of severe flooding on Old Salts Farm land and West Beach roads ) the West Beach Residents association have provided to the statutory agencies has meant that common sense prevailed . 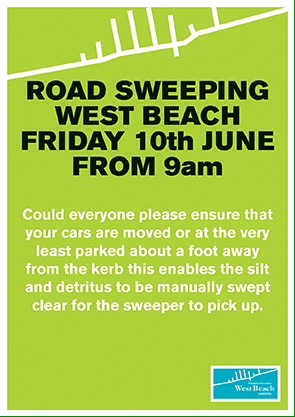 This is great news for West Beach Residents we know that without a doubt,!! we would flood ,if any build went ahead on Old Salts Farm! We couldn’t have achieved this without your help. We cannot be complacent we still need to be vigilant and record any and every flooding event —– you , yes you ! can help maintain the pressure by collecting evidence / photographs of events . 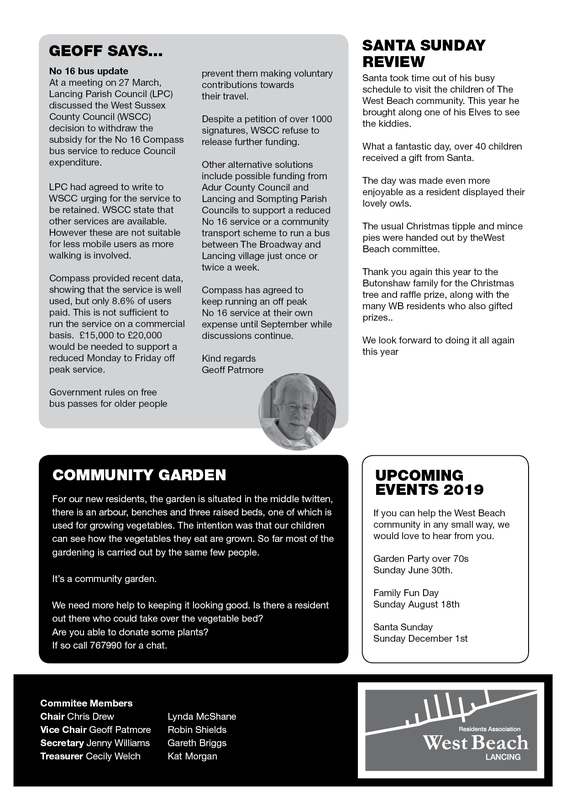 For those households who haven’t yet joined the Residents association we can achieve much more with your support, for £ I pound a month, £12 pound a year, join up and increase our Public Voice . Protect our flood plain from development now and for the future . Land at Hasler was included in a number of housing options as part of the Draft Adur Local Plan 2012 consultation. However, this site is not being progressed for allocation. The majority of the site lies within flood risk zones 3a (high probability) and 3b (functional floodplain), with some small parts in the eastern part of the site in zones 1 and 2. The implementation of the Shoreham Tidal Walls Scheme would change those parts of the site within Flood Zone 3b to Flood Zone 3a. This would result in the site no longer acting as ‘functional floodplain’. However, the whole site also suffers from significant groundwater and surface water flooding issues which would not be resolved by the proposed tidal walls. Significant concerns relating to flood risk on the site were raised as part of the Draft Local Plan consultation including by the Environment Agency. It has not been adequately demonstrated by the site promoters that these flooding issues can be overcome. 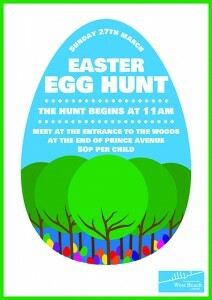 Easter Egg Hunt Sunday 27th March. The hunt begins 11am at the the entrance to the woods at Prince Ave.